As summer approaches, many homeowners are thinking about how they can make their home more beautiful. Maybe this year you have sustainability projects in mind, like building vertical gardens or creating a rainwater catchment system. But for many others this means big home improvement projects that will make your home more functional, more enjoyable, and add long-term value to your home. 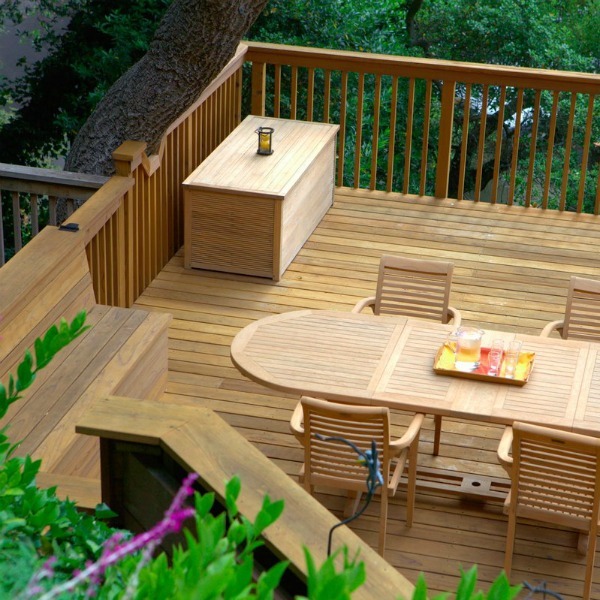 The first step in designing your deck is to find something that fits the aesthetic of your home, find a sustainable option for the construction, and something that fits into your budget. There are lots of woods to choose from, but it’s becoming increasingly clear that redwood is one of the most sustainable options, provided that it’s from a carefully managed source. Redwood from carefully managed sources has a reduced impact compared to other woods because of its long-term value. Redwood is naturally pest resistant, tends to outlive other woods, AND is biodegradable at the end of its life, unlike other woods that have been chemically treated for pest resistance. 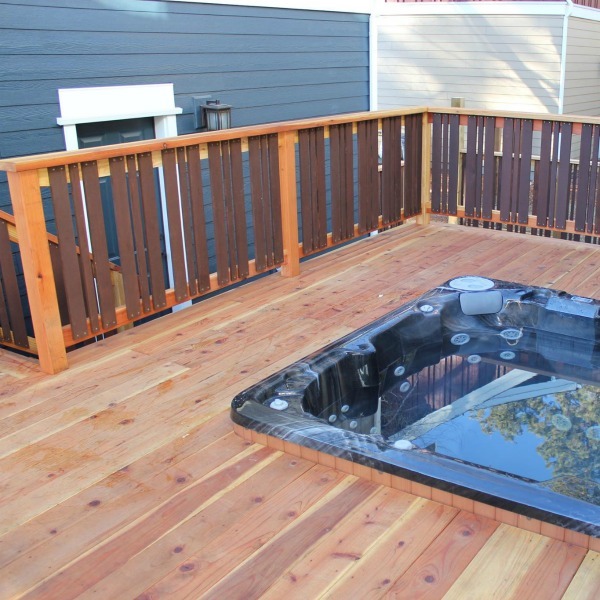 Wood, and redwood in particular, is also a much more sustainable decking material than plastic composite material, made from fossil fuel-based plastics. At the end of its lifetime, it’s most likely to end up in a landfill, leaving a toxic legacy. Redwood from companies like Humboldt Redwood* are harvested in a responsible, ethical manner with a focus on long-term sustainability. By harvesting redwood logs at a level consistently below the natural growth rate and by planting trees yearly, Humboldt Redwood helps to ensure that redwood will be a renewable resource for years to come. 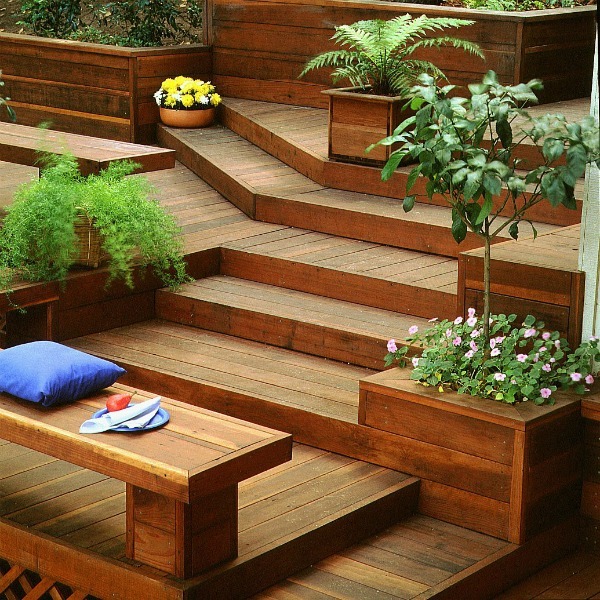 At the end of its life, redwood decking can be turned into mulch or salvaged and re-milled to be used in smaller projects like container gardens. 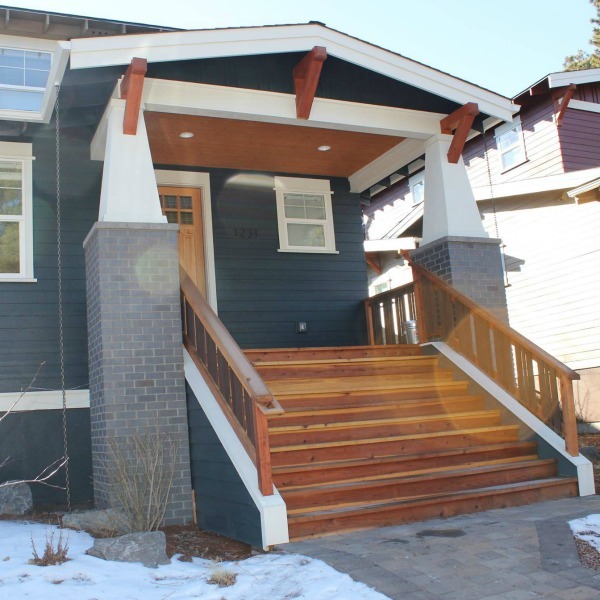 But perhaps best of all, redwood is less expensive too: with redwood priced about $30 per square foot and plastic-composite material can ranging from $32-$48 per square foot, it’s an easy choice. 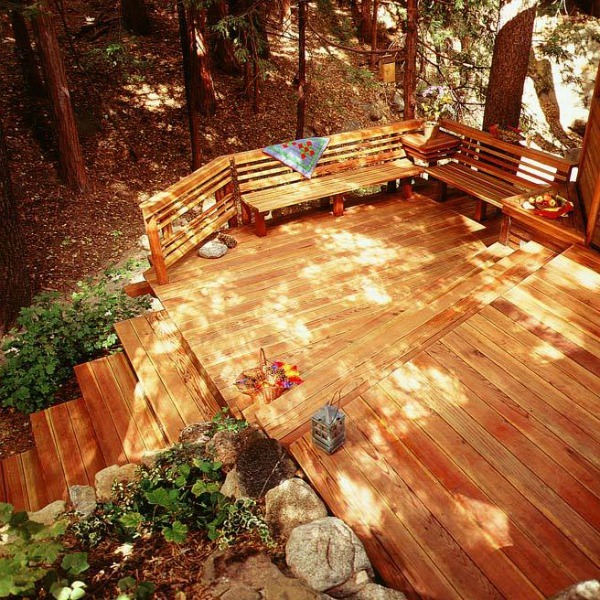 Below we have 7 ways to use redwood for your home that can inspire you to take on this great summer home project. Let’s get started! not a deck, but a great investment in a beautiful front porch! I’m ready for the dinner parties! 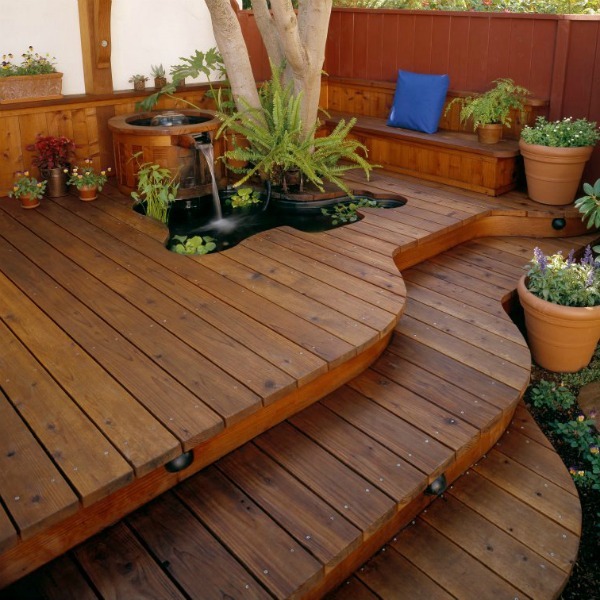 integrate plants and water features into your decking for improved beauty and value! another way to integrate plants into the decking itself! 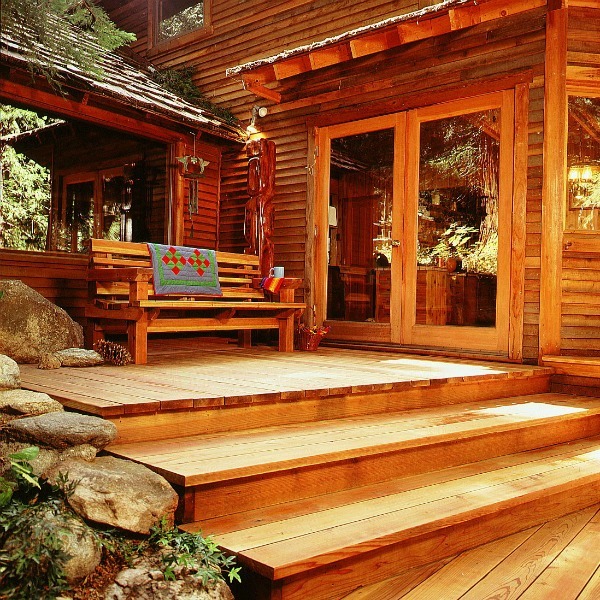 a dream home of redwood! This post was sponsored by Humboldt Redwood. Images from Humboldt Redwood Facebook.